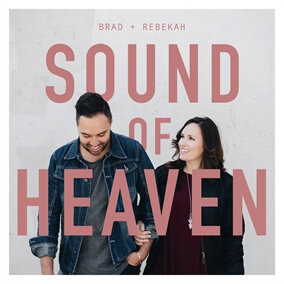 Today marks the release of Brad + Rebekah's brand new worship album, Sound of Heaven. The album introduces twelve new original songs from the husband and wife duo that speak of our identity in Christ. "What is the Sound of Heaven?" they ask. "Its the people of God. Us. It is our calling, in whatever arena, to be His light, His hands and feet to a lost world. These songs are a declaration of the desire to walk in the identity of Christ and be the audible and visible Sound of Heaven." From "I Am Found" and "Never Alone," which Brad + Rebekah previously released to "Sound of Heaven" and "A Thousand Wedding Bells," these songs all remind worshippers of who they are because of who Christ is. Check out the entire album today on iTunes and pick up the worship leading resources you need as you introduce these songs to your congregations.